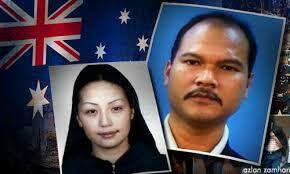 IT'S TOFFEE'S TURN: CAN MALAYSIANS TRUST AUSTRALIAN GOVERNMENT? 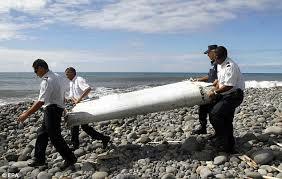 Why is it all confirmation of debris from parts that are likely to be from MH370 are carried out in Australia. Can the Aussies be trusted to come out with the truth? I really doubt it, is there something sinister going on here? The Aussies, we all know only too well, have made Malaysia their rubbish dump, and the government of Najib Razak have been helping them to do so very eagerly. 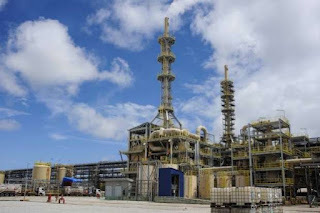 The rare Earth plant Lynas is Australian, rare earth is mined in Australia, but the Australians will not allow the plant in it's vast continental country, so instead this Australian organisation has found a safe haven in little Malaysia to produce this toxic stuff. After all who cares if Malaysians die? China a huge nation is now cutting down their rare earth processing, they intend to stop it altogether, and why? Well this is because it poses a threat to the environment and the people. Australia has the same principles about processing rare earth, but have found Malaysia the suitable place to do it in, and that too with the full backing of Najib and his cronies. For MH370 why is the undersea search being conducted by Australia? The Aussies aren't a technically sophisticated nation for such purposes, so why Australia? If they the Aussies volunteered, the question is why? What are their special interests that they are prepared to go to such lengths to do it for Malaysia? Do they expect us to believe it is all because we are their closest friends? Come on there is no such thing as a free lunch and more so from the Aussies. So what is the pay back? Sirul Azahar and the lady he admitted murdering. admitted to his guilt in open court and why is Australia offering him refuge when they have refused many who even sought asylum there? Why was he not put on the immigration balcklist? The immigration blacklist has been in existence even before the formation of Malaysia, ask any immigration officer there is what is called a S/L or suspected list to clear before a document of travel can be issued. Now looking at the time it took for him to be charged and brought to court and the trial I am inclined to believe that he did not have a valid travel document after his release, it must have been issued to him after his release or it was an old document renewed for which the same procedures as an application for a new passport applies. Did Sirul Travel on a special travel document issued by the Malaysian Immigration Department, the Home Ministry or the prime Minister's department itself? Now what is even more shocking is why hasn't the Malaysian government begun the process of demanding his return, is this something that was prearranged between the two governments? Why is it Australia is not as active as Switzerland and Singapore in probing the Banking scandal of Najib Razak, wasn't AM Bank whose current majority shareholder ANZ bank involved in the RM2.6 Billion scandal as Najib's account was placed there? MH 370 SEARCH AND INVESTIGATIONS:WHY AUSTRALIA - WHY NOT CHINA? Why is it China is not asked to help in the finding of MH370? Technically and resources wise China has much more resources and more sophisticated than a backyard scrap shop like Australia. 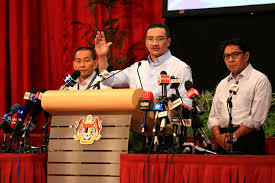 I think the Chinese will only be too willing, because most of the passenger on MH 370 were Chinese nationals and China has a duty to its citizens to be active in this search. MH370. How did Australia come into the picture in the first place? Why were the Chinese and the Vietnamese navies pointed in the wrong direction in the initial days of the search of MH370 by Malaysia even though Malaysia had knowledge that the plain was nowhere near the South China Sea as it had turned back and even cruised over the Straits of Melaka? Why is it only now two years after the MH370 went missing that the management of MAS has now admitted that they have made mistakes with the MH370 investigation what are they anyway? The mistakes. Why is it only now the truth of the Lithium batteries is surfacing, it was not 200 Kg as reported but a few tonnes I am now informed, does this also prove that the story about mangosteens in the cargo hatch was a lie. And I may sound like a broken record, but what remains fresh in my mind are the words of Hishamuddin Hussein Onn at one of the early if not the first Press conference he presided over, " there are somethings I can tell you and there are somethings I can't tell you," to his day we do not know the things he knew and could not tell us then. With all this it looks to me that Australia is not the country to be carrying out verification of parts which may be from MH 370, firstly because all these issues makes Australia look suspect in a sinister plot together with the Malaysian government to hide some important information pertaining to MH 370. After all our Prime Minister has a cliche he uses often and what is there to keep us misbelieving that he has used it with the Australians, "You help me and I'll help you." Australia is very unlikely to admit that the parts found off the African coast are from MH370, simply because it will only reveal the truth about the incompetence of the australians to cionduct such a search, it will expose their stupidity. Is the search in the current locations actually based on scientific truths or a hogwash could the plane have crashed closer to Africa? Well there is evidence that seems to say so, then why is that every time a plane part is found the Malaysians are eager to get it and send it to Australia? Just do as to disapprove it? And if hat is the case what is there they are hiding? In the case of MH370 when so much bad light has been shed on the Malaysian government and the airline, the Malaysian government owes it to the next of kin of the victims of MH370, the nation and the employees of MAS to ensure that everything being done is not only overboard but seen to be overboard too and sadly that is not the case here, it only seems to be everything they do is suspect to cover sup something more sinister.